Every starseed is encoded with a DNA activation or wake up call which unlocks at a pre-determined time. 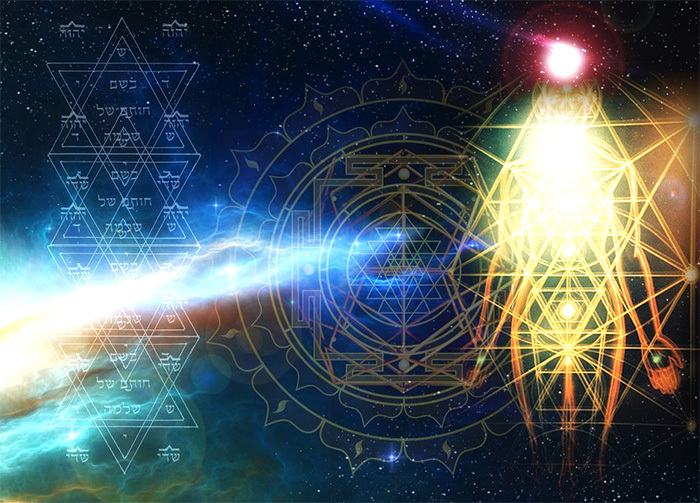 The activation unlocks the potential of these starseed beings; this may happen through spiritual awakening. Going through life most starseeds feel like outcasts on planet Earth, they have the sense of emptiness within them and feel home sick, longing to go back to their true home. Then again there are many who have made Earth their home and are helping and guiding people with their spiritual knowledge. Andromedan starseeds love to travel and they thrive on many types of realities. They have a passion for cars and enjoy driving fast, or even flying in airplanes. Their passion stimulates their subconscious memories of their home. Arturian aliens are deep thinkers; they are the ones with strong personalities and deep inner strength. On the surface they appear hard, but they are very capable and powerful. They have a feeling that they have a important purpose in their life. Pleiadians and Sirians have been here on Earth for a long time. The Pleiadians are very ancient, they have traveled many places in the universe, and they are a humanoid type of race. Pleiadians are very sensitive, loving and compassionate. They always carry pleasant and gentle energy. They want everyone to be happy and be at peace. You feel like you are in a pressure cooker or in overwhelming energy; you feel stressed. This is a symptom that you are adjusting to a higher vibrational state and you will at some point adjust. Your old behaviors, patterns and beliefs are coming to the surface so there is a lot going on inside of you. A feeling of disorientation, you feel like you don’t know where you are, a loss of sense of place. After the activation you move into higher vibrational frequency or higher dimension. There may be some unusual aches and pains throughout your body. Your body is purifying and releasing blocked energy. You are waking up at night between 2 and 4 am. Much is going on in your dream state. You can’t seem to be there for a long time and need a break. There are some periods of deep sleeping. You are just resting from all the acclimating and you are integrating, and building up for the next phase. You are sensitive to your surroundings. Crowds, noise, foods, TV, other human voices are barely tolerable. You also tend to overwhelm very easily and become over stimulated. But, you are just tuning up. You don’t feel like doing anything at all. Your body is in a rest period and knows what it needs. You can’t tolerate low vibrational energy, either in conversations, attitudes, social set ups, healing modalities etc. They practically make you feel sick inside. You are in a higher vibrational and your energies are no longer in alignment. A starseed has a profound feeling of being very different from other people. Everyone is unique and different from others in some way or another, but for a starseed, this feeling begins at a very early age and stays with them well into adulthood. There may be no external cause of this feeling and most have relatively normal childhood and adult lives (although they will tend to have some very unusual experiences). Many people will view these individuals as being somewhat weird or eccentric, even if the starseed is trying to act ‘normal’ and blend in. A starseed knows they are different, even if they don’t quite know why, and even if they try to ‘fake it’ they will be unhappy pretending to be anyone but themselves. A starseed individual may discover that they are extremely sensitive and may have a naturally devoloped sixth sense; most are highly empathic. Having empathy means that they have the ability to feel or sense the emotions and sometimes even the ‘thought vibrations’ of other people, especially those whom they are closest to. If they are not aware of the source of these emotions or energies then it can seem as if it is their own emotions they are feeling. Unconscious starseeds who are highly empathic can be easily influenced energetically. This makes it important to learn grounding and shielding techniques so they do not absorb the emotions of others or take them on as their own. The empathic ability of a starseed (or anyone with the ability) can become problamatic if one is constantly bombarded with the energy of other people, especially those who are negative. This can result in them becoming increasingly drained energetically over time. This is often the reason why many starseeds feel more comfortable alone in their own private space and tend to feel overwhelmed when around even small groups of familiar people let alone large groups of strangers. Although some starseeds actually feel better in large crowds such as those at an event of some sorts, because this way they feel they can ‘blend in’ more. Many starseeds journey through life feeling alienated from others in some way and when involved in even small group settings they often feel disconnected from the others or out of place in some way. Their mind is always buzzing with thought and sometimes they have feelings of anxiety or even boredom. The starseed tends to ‘think about what the others are thinking about’ and this thought stream can sometimes indicate is a strong telepathic ability as well. Starseeds sometimes enjoy simply observing others out of curiousity instead of interacting or being put on the spot. Even the more social and outgoing starseeds will still resonate with some of these qualities and experiences on some level. It’s common for starseeds to feel like they don’t have much in common with many other people and sometimes can not understand why people ‘do what they do’ and ‘like what they like’. They tend to feel much better and lighter in energy when they are around higher vibrational people who are more consciously aware because these lighter individuals seem to just ‘get it’ while noone else seems tuned in. In some situations when interacting with others a starseed may find themselves suddenly ‘shapeshifting’ their energy to match the other’s so they can ‘play along’ or understand the individual on a deeper level. This unusual experience is hard to describe but a lot of starseed souls may recognize it. A desire and need to get away from the hustle and bustle of life and from ‘normal’ people. Starseeds often prefer to be alone not from a sense of depression but out of a sense of freedom and feeling like they are in their comfort zone. They tend to benefit and do enjoy seeling out others who share their own spiritual interests. They enjoy have deep and more meaingful conversations and can get bored with mindless ‘chit chat’ or shallow conversation. Starseeds tend to be more shy and introverted as children. They also tend to be highly creative and imaginative on many levels. They can spend hours just thinking and pondering in their minds, and playing in their own ‘make-believe world’. Many would rather spend time by themselves, with nature and animals rather than with other children. This can often be due that feeling of being different from others in some way or because they feel they can’t relate to other children. Many tend to be more comfortable in the company of adults and are often considered mature for their age. Even so, many star seed children grow up feeling misunderstood and can carry a heavy sadness in their heart at times for reasons they often don’t understand. Starseed children can sometimes have periods of hyperactivity and if that accompanies any anti-social behavior at times then they are often diagnosed with having A.D.D or autism in extreme cases. Later on in life they can often be diagnosed with having Bi-Polar disorder because of the dramatic swings of emotion, But most of these qualities are due to the starseed’s sensitivity to the world around them and empathic abilities as mentioned previously. As children starseeds tend to be highly intelligent with an inquisitive mind, even if they suffer from poor grades in school. Starseed children are fascinated by many things and may show early interest in various subjects such as art, music, science, geography, history, language, reading, writing and journaling and sometimes poetry. If a subject disinterests a starseed child or if they feel the information is mundane or useless on some level they may tend to ‘tune it out’ and only absorb what excites their passion and curiosity, often soaking up knowledge and even studying subjects on their own. Starseed children often have an ‘imaginary’ friend. Now many children have imaginary friends at such a young age, but for the starseed there is often something unsual surrounding the experience. Starseed children can often create fantasy worlds to explore in their own minds. This is typical of every child to a degree, but even as adults starseeds have an incredible ability to visualize and ponder the most incredible things. These images and insights are often very vivid. These mental journeys and daydreams tend to go beyond the stereotypical ‘fantasies’ of earth and can often feel very real. Starseed children often feel more comfortable communicating with animals, nature, trees, and even inatimate objects such as stuffed animals or toys when they are very young; some may have a feeling or sense as if these things are ‘conscious’ and can understand them. It is the ‘energy’ of these beings and objects that the starseed may be sensing, but with animals and people it can be early signs of an empathic or telepathic ability. Many starseed children, including adults, have a fondness for particular creatures like felines and wild cats, birds such as owls and eagles, and some even like reptiles. In fact, starseeds begin to question what is ‘real’ even at that very young age. They often ponder or ask deep or serious questions, have a healthy and genuine curiousity about the people around them and the world in general. They may question everything and always want to know ‘why’ something is the way it is. Star seed children can even ponder the deepest of questions about reality and delve into concepts such as reincarnation and life after death. Starseeds may have unsual experiences in childhood that they tend to never forget. Starseeds also have memories of some unique or very emotional dreams, even some that feel very ‘real’ as if they are more memories rather than dreams. Many starseeds remember having a profound or unsual experience around the ages of 5-11 years old that may relate to UFO’s, ‘aliens’ or the stars, while other may have more paranormal experiences with ghosts or shadow figures. Please note that most of the starseed traits and characteristics are very similar to those associated with Indigo Children and Lightworkers. All of them do share a common purpose on the planet. 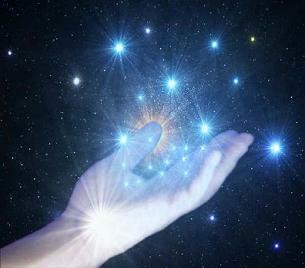 Many children that are considered Indigo’s are actually starseed children, but not all Indigos are star seeded souls. Starseed children share many things in common with Indigo children such as their empathic and introverted nature, but tend to carry these particular traits well into adulthood. Lightworkers are simply individuals who have consciously chosen to walk a spiritual path, to raise their own vibration and to help spread love and light into the world to assist with the ascension process. Anyone, including starseeds and indigos can be lightworkers. They may have a high tolerance for pain (or sometimes the extreme opposite and the starseed may be extremely sensitive to pain for some reason). Many starseeds have a high immunity to many viruses that would effect others easily. When they do become sick–which is not that often, they may recover more quickly. Many starseeds have acute hearing or an above average hearing range. They can be extrememely sensitive to sound and loud or chaotic noise disturbs them immensely. It’s not uncommon for starseeds to sometimes hear strange or unsual high pitched frequencies or tones in one of their ears. This often happens during periods of accelerated soul growth and can even be accompanied by head pressure, tingling, or other sensations that seem unusual in any area of the body. These phsyical experiences can happen out of the blue and occur for a period of days or week, then suddenly the symptoms dissapear just as abruptly. Leda de Zwaan gives starseed coachings, healings, and teachings. Please hit the ‘contact button’ to book your coaching or session!